GOD’S WORD FOR TODAY Jesus’ “going public” should not have surprised his Jewish countrymen. 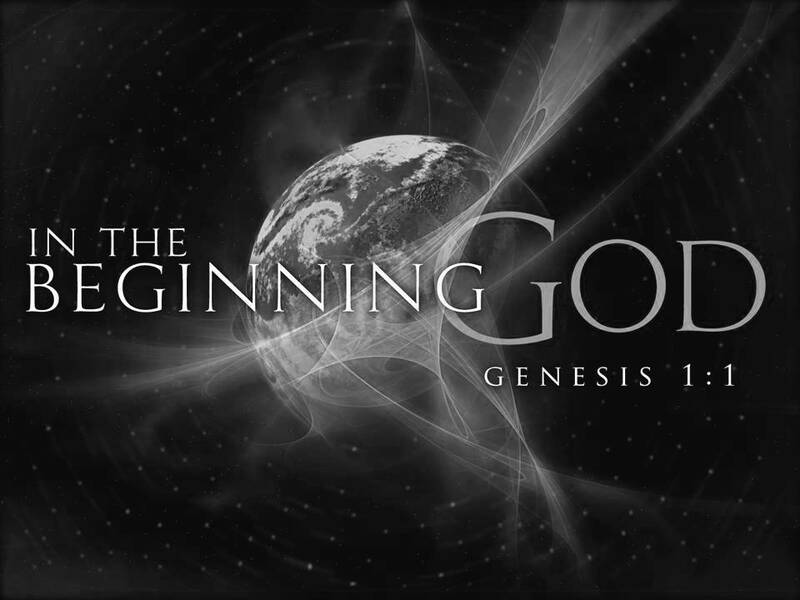 They had known of the coming Messiah for a long time, dating back to the promise given Abraham (Genesis 12:3), even to Adam and Eve in the Garden of Eden (Genesis 3:15). Yet, when Jesus finally arrived, “his own did not receive him” (John 1:10). He was not the kind of Savior that many were looking for. That too was foretold: “He was despised and rejected by men” (Isaiah 53:3). A PRAYER BEFORE WORSHIP Almighty God, you sent your Son to proclaim your kingdom and to teach with authority. Anoint us with the power of your Spirit, that we, too, may bring good news to the afflicted, bind up the brokenhearted, and proclaim liberty to the captive. Bless our worship today and throughout the week. Amen. The Spirit of the Sovereign LORD is on me, because the LORD has anointed me to preach good news to the poor. He has sent me to bind up the brokenhearted, to proclaim freedom for the captives and release from darkness for the prisoners, to proclaim the year of the LORD’s favor and the day of vengeance of our God, to comfort all who mourn, and provide for those who grieve in Zion– to bestow on them a crown of beauty instead of ashes, the oil of gladness instead of mourning, and a garment of praise instead of a spirit of despair. 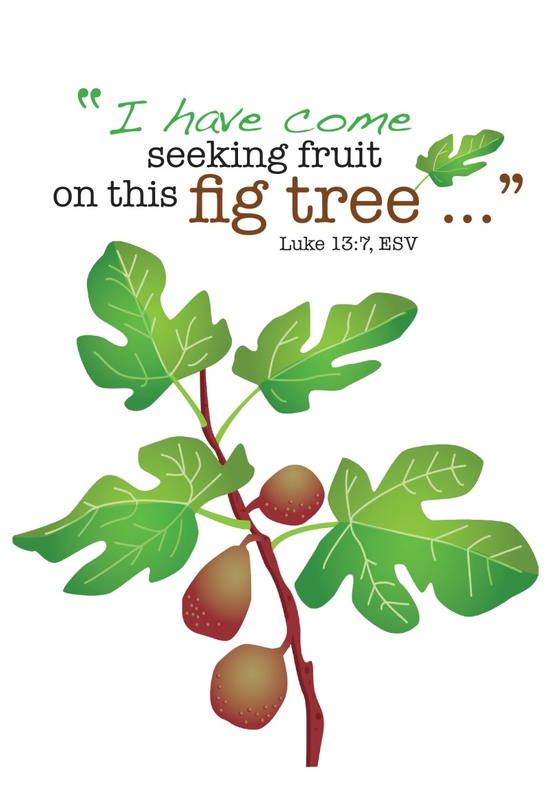 They will be called oaks of righteousness, a planting of the LORD for the display of his splendor. They will rebuild the ancient ruins and restore the places long devastated; they will renew the ruined cities that have been devastated for generations. Aliens will shepherd your flocks; foreigners will work your fields and vineyards. And you will be called priests of the LORD, you will be named ministers of our God. You will feed on the wealth of nations, and in their riches you will boast. The body is a unit, though it is made up of many parts; and though all its parts are many, they form one body. So it is with Christ. For we were all baptized by one Spirit into one body—whether Jews or Greeks, slave or free—and we were all given the one Spirit to drink. If one part suffers, every part suffers with it; if one part is honored, every part rejoices with it. Now you are the body of Christ, and each one of you is a part of it. John Jesus returned to Galilee in the power of the Spirit, and news about him spread through the whole countryside. He taught in their synagogues, and everyone praised him. Following 10:00am church at St. John’s on February 3rd, there will be a Voters meeting. Everyone and anyone, plan to attend! Come check out some silent auction items that will be at Art for Dinner! They are currently located in the link way at St. John’s and will be there until Feb. 1. Art for Dinner will be held Saturday, February 2nd, at 5:00p.m. in the Montello High School community room. ($25 ea.) and enjoying the evening or consider making a donation. Deadline for purchasing a ticket is TOMORROW, Monday January 28th. We are also looking for donations of items for our basket raffle. If you would be able to donate a basket already made up, any type of items, or services, gift cards, or products! If you know of any businesses that would be willing to donate, please ask them as well. Please have all donations turned into the office by THIS Wednesday, January 30th. If you would like to work on projects at home or in the classroom, please feel free to do so and we would love to include them in our silent auction fundraiser. Any other family (Grandmas, Dads, Uncles, Cousins) art projects are welcome as well. God has blessed many of us with lots of different talents! We are very excited to be having this fundraiser and with your help, we are hoping that it will be a great success! Please help spread the word to anyone you think would like to support our school! A PRAYER BEFORE WORSHIP Heavenly Father, you gave your one and only Son to be the Light of the World. Grant that your people, enlightened through your Word, shine with the radiance of Christ’s glory. May our Epiphany Lord be known, worshiped, and believed to the ends of the earth; through Jesus Christ our Savior, who with you and the Holy Spirit lives and rules as our Triune God. Bless our worship today. Amen. GOD’S WORD FOR TODAY Jesus is Our Miraculous Savior In today’s Gospel lesson, Jesus performs a miracle at the wedding at Cana: He turns over 120 gallons of water into wine. Jesus doesn’t touch the water. It’s no trick. It’s a real miracle. He does it because the Father now wants him to go “public” and reveal his glory. As a result, his disciples trust in him as the Son of God. In our Old Testament and Epistle lessons, Jesus performs more miracles…as a bridegoom rejoicing over his bride–the church, and as he, the Victorious Lamb, adorns her with a wedding gown and gives her at place of honor at the wedding banquet in heaven. For Zion’s sake I will not keep silent, for Jerusalem’s sake I will not remain quiet, till her righteousness shines out like the dawn, her salvation like a blazing torch. The nations will see your righteousness, and all kings your glory; you will be called by a new name that the mouth of the LORD will bestow. You will be a crown of splendor in the LORD’s hand, a royal diadem in the hand of your God. No longer will they call you Deserted, or name your land Desolate. But you will be called Hephzibah, and your land Beulah; for the LORD will take delight in you, and your land will be married. 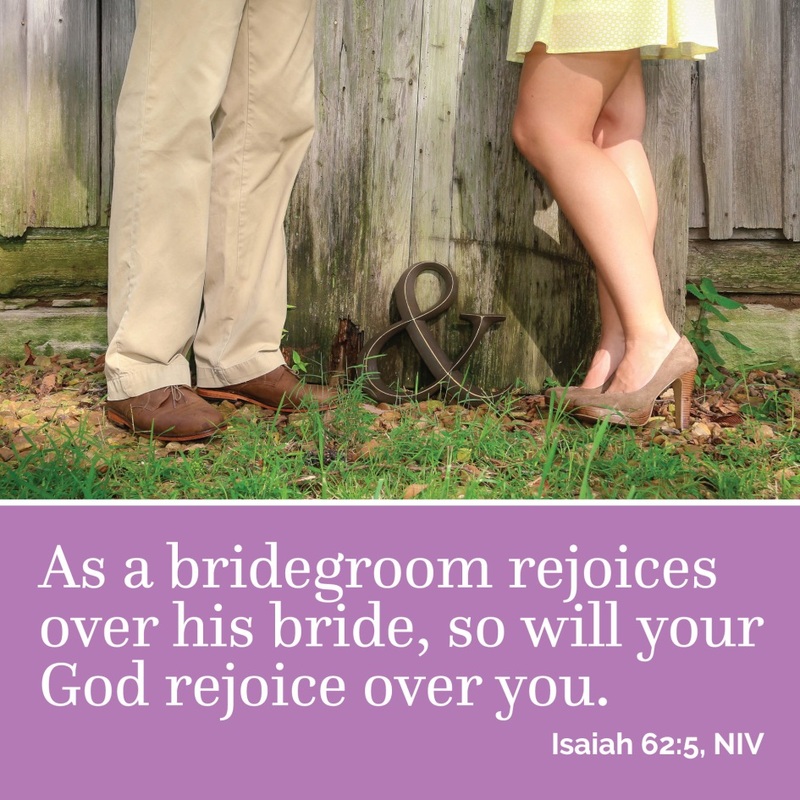 As a young man marries a maiden, so will your sons marry you; as a bridegroom rejoices over his bride, so will your God rejoice over you. ($25 ea.) and enjoying the evening or consider making a donation. We are also looking for donations of items for our basket raffle. If you would be able to donate a basket already made up, any type of items, or services, gift cards, or products! If you know of any businesses that would be willing to donate, please ask them as well. Please have all donations turned into the office by Wednesday, January 30th. If you would like to work on projects at home or in the classroom, please feel free to do so and we would love to include them in our silent auction fundraiser. Any other family (Grandmas, Dads, Uncles, Cousins) art projects are welcome as well. God has blessed many of us with lots of different talents! We are very excited to be having this fundraiser and with your help, we are hoping that it will be a great success! Please help spread the word to anyone you think would like to support our school! Jesus Comes to Save Us, Even as an Infant – Whether or not we had a “good Christmas,” as some may ask us, today over and over we hear good news of God’s grace. “This is the day,” Les Garrett. © 1986 Scripture in Song. CCLI License # 790498. Join with others in following my example, brothers, and take note of those who live according to the pattern we gave you. 18 For, as I have often told you before and now say again even with tears, many live as enemies of the cross of Christ. 19 Their destiny is destruction, their god is their stomach, and their glory is in their shame. Their mind is on earthly things. 20 But our citizenship is in heaven. And we eagerly await a Savior from there, the Lord Jesus Christ, 21 who, by the power that enables him to bring everything under his control, will transform our lowly bodies so that they will be like his glorious body. Chorus: You’re the author of creation You’re the Lord of ev’ry man And Your cry of love rings out Across the lands. “Across the lands,” Stuart Townend and Keith Getty. © 2002 Thankyou Music. CCLI song # 3709898. CCLI license # 790498. Now I want you to know, brothers, that what has happened to me has really served to advance the gospel. 13 As a result, it has become clear throughout the whole palace guard and to everyone else that I am in chains for Christ. 14 Because of my chains, most of the brothers in the Lord have been encouraged to speak the word of God more courageously and fearlessly. I plead with Euodia and I plead with Syntyche to agree with each other in the Lord. 3 Yes, and I ask you, loyal yokefellow, help these women who have contended at my side in the cause of the gospel, along with Clement and the rest of my fellow workers, whose names are in the book of life. 8 Finally, brothers, whatever is true, whatever is noble, whatever is right, whatever is pure, whatever is lovely, whatever is admirable–if anything is excellent or praiseworthy–think about such things. 9 Whatever you have learned or received or heard from me, or seen in me- -put it into practice. And the God of peace will be with you. Finally, brothers, whatever is true, whatever is noble, whatever is right, whatever is pure, whatever is lovely, whatever is admirable–if anything is excellent or praiseworthy–think about such things. 9 Whatever you have learned or received or heard from me, or seen in me–put it into practice. And the God of peace will be with you. The offering now is for the ministry at your congregation. A door offering after the service is for the ministry at Camp Phillip. Out of love for God’s Word and people’s souls, we offer the Lord’s Supper only to communicant members of St. John’s and Emmanuel Ev. 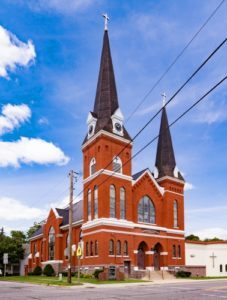 Lutheran Churches or other congregations of the Wisconsin Evangelical Lutheran Synod (WELS) (1 Corinthians 10:17, 11:26-29). Visitors who are not yet communicant members of our church are respectfully asked to refrain from communing today, but are encouraged to speak with the pastor after the service about how to become communicant members. – For Harold and Judy Fandrey who celebrated their 35th wedding anniversary on Monday (1/7). Open eyes to see You are the Way. Open ears to hear You are the Truth. Open hearts to know you are the Lord of life. For every land, You hold a special plan. Show me how to follow. Lord, keep me close to you. You are the Shepherd; I belong to You. “You are the Shepherd,” Keith and Kristyn Getty. © 2002 Keith and Kristyn Getty/MCPS. CCLI license # 790498. Praise God, all you people, let it show. Praise God above, let all heaven sing it. Creator, Son and Holy Spirit. Yes, A-men, A-men, Creator, Son and Holy Spirit. “Calypso doxology,” Johann Anderson. © 1971 Songs and Creations. CCLI song # 591422. CCLI license # 790498. Camp Phillip provides relaxation in creation and renewal in Christ to WELS youth, adults, families, churches and schools throughout the year. as well. Please have all donations turned into the office by Wednesday, January 30th. If you would like to work on projects at home or in the classroom, please feel free to do so and we would love to include them in our silent auction fundraiser. Any other family (Grandmas, Dads, Uncles, Cousins) art projects are welcome as well. God has blessed many of us with lots of different talents! We are very excited to be having this fundraiser and with your help, we are hoping that it will be a great success! Please help spread the word to anyone you think would like to support our school! What does “Epiphany” mean? It comes from the Greek epiphaneia, which means “shining forth,” “manifestation,” or “revelation.” The Epiphany of our Lord is the Christian festival that celebrates the many ways through signs, miracles, and preaching that Jesus revealed Himself to the world as Christ, God incarnate, and King of Kings. Four incidents that manifested the mission and divinity of Christ are commemorated during the season of Epiphany: First, the visit of the Magi; second, the baptism of Jesus; third, the miracle at Cana; and fourth, the Transfiguration. Today we celebrate the visit of the Magi or wise men, who were gentiles, which is why we often think of Epiphany as the Christmas of the gentiles. So, most gracious Lord, may we evermore your followers be. All our costliest treasures bring, Christ, to you, our heav’nly King. Where they need no star to guide, where no clouds your glory hide. In the heav’nly country bright need they no created light; You its light, its joy, its crown, you its sun which goes not down. There forever may we sing alleluias to our King! The Responsive Reading (from Psalm 111:1-4, 9-10) spoken responsively by the Pastor and the congregation. P: Praise the LORD! I will give thanks to the LORD with my whole heart, in the company of the upright, in the congregation. C: Great are the works of the LORD, studied by all who delight in them. P: Full of splendor and majesty is his work, and his righteousness endures forever. C: He has caused his wondrous works to be remembered; the LORD is gracious and merciful. P: He sent redemption to his people; he has commanded his covenant forever. C: Holy and awesome is his name! P: The fear of the LORD is the beginning of wisdom; all those who practice it have a good understanding. C: His praise endures forever! The Confession and Absolution is spoken responsively by the Pastor and the congregation. P: The fear of the Lord is the beginning of wisdom, but so often we forsake that wisdom and seek the foolishness and temptations of the world. Let us confess our sins to God and ask his forgiveness. C: Almighty God, we turn away from the wisdom of your holy Word and instead follow the temptations of the devil, the world, and our own sinful desires. We sin against you each day in our thoughts, words, and actions. Have mercy on us and forgive us for the sake of Jesus our Lord. P: Christ our Lord, the Child of Bethlehem, was born to save us. He carried our sins in his own body to the cross. For his sake and by his command, I announce to you that your sins are forgiven in the name of the Father and of the + Son and of the Holy Spirit. C: The fear of the Lord is the beginning of wisdom. His praise endures forever! 1“Arise, shine, for your light has come, and the glory of the LORD rises upon you. 2See, darkness covers the earth and thick darkness is over the peoples, but the LORD rises upon you and his glory appears over you. 3Nations will come to your light, and kings to the brightness of your dawn. 4“Lift up your eyes and look about you: All assemble and come to you; your sons come from afar, and your daughters are carried on the hip. 5Then you will look and be radiant, your heart will throb and swell with joy; the wealth on the seas will be brought to you, to you the riches of the nations will come. 6Herds of camels will cover your land, young camels of Midian and Ephah. And all from Sheba will come, bearing gold and incense and proclaiming the praise of the LORD. Branch of royal David’s stem, in your birth at Bethlehem. Anthems be to you addressed, God in man made manifest. Grant us grace to see you, Lord, mirrored in your holy Word. And may praise you, ever blest, God in man made manifest. 18For the message of the cross is foolishness to those who are perishing, but to us who are being saved it is the power of God. 19For it is written: “I will destroy the wisdom of the wise; the intelligence of the intelligent I will frustrate.” 20Where is the wise person? Where is the teacher of the law? Where is the philosopher of this age? Has not God made foolish the wisdom of the world? 21For since in the wisdom of God the world through its wisdom did not know him, God was pleased through the foolishness of what was preached to save those who believe. 22Jews demand signs and Greeks look for wisdom, 23but we preach Christ crucified: a stumbling block to Jews and foolishness to Gentiles, 24but to those whom God has called, both Jews and Greeks, Christ the power of God and the wisdom of God. 25For the foolishness of God is wiser than human wisdom, and the weakness of God is stronger than human strength. I believe in Jesus Christ, his only Son, our Lord, who was conceived by the Holy Spirit, born of the virgin Mary, suffered under Pontius Pilate, was crucified, died, and was buried. He descended into hell, the third day he rose again from the dead. He ascended into heaven and is seated at the right hand of God the Father almighty. From there he will come to judge the living and the dead. Brightest and best of the stars of the morning, Dawn on our darkness and lend us your aid. Star of the East, the Horizon adorning, Guide where our infant Redeemer is laid. Shall we not yield him in costly devotion Rarest of fragrances, tribute divine, Gems of the mountain and pearls of the ocean, Myrrh from the forest and gold from the mine? Vainly we bring him the finest of off’rings, Vainly with gifts would his favor secure, Richer by far is the praise that the heart brings; Dearer to God are the prayers of the poor. Gracious God, let your servants depart in peace; your word has been fulfilled. We have seen the salvation which you have prepared for all people as a light to reveal you to the nations. The Lord bless you and keep you. The Lord make his face shine on you and be gracious to you. The Lord look on you with favor and + give you peace. Hail, O Source of ev’ry blessing, Father of our human race! Gentiles now, your grace possessing, in your courts obtain a place; Grateful now, we fall before you, in your Church rejoice to live, See your glory and adore you, thankful for the grace you give. Once far off but now invited, we approach your sacred throne, In your covenant united, reconciled, redeemed, made one. Now revealed to eastern sages, see the star of mercy shine, Myst’ry hid in former ages, myst’ry great of love divine. Hail, O all-inviting Savior! Gentiles now their off’rings bring, In your temples seek your favor, Jesus Christ, our Lord and King. May we, body, soul, and spirit, live devoted to your praise, Glorious realms of bliss inherit, grateful anthems ever raise. 2019 OFFERING ENVELOPES are ready for pick up in the link way at St. John’s. PLEASE DO NOT USE THEM UNTIL JANUARY 2019! 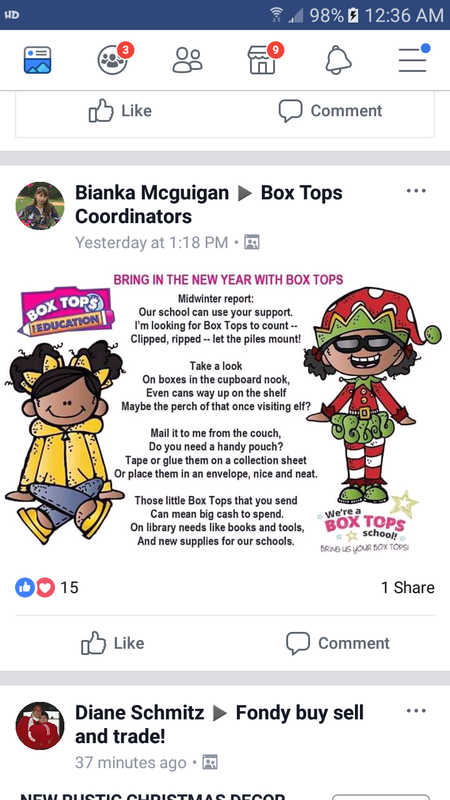 If you did not receive a box and would like to, please let Ciara know at the office (297-2866) or there is a sign up in the link way. MEN’S TUESDAY BIBLE CLASS The Men’s Bible Class will resume on Tuesday, January 8, at 6:30PM. MONDAY & WEDNESDAY BIBLE STUDY AT ST. JOHN’S resumes 1/7 at 7:30p.m. & 1/9 at 10:00a.m. You turn men back to dust, saying, “Return to dust, O sons of men.” For a thousand years in your sight are like a day that has just gone by, or like a watch in the night. You sweep men away in the sleep of death; they are like the new grass of the morning- though in the morning it springs up new, by evening it is dry and withered. We are consumed by your anger and terrified by your indignation. You have set our iniquities before you, our secret sins in the light of your presence. All our days pass away under your wrath; we finish our years with a moan. The length of our days is seventy years- or eighty, if we have the strength; yet their span is but trouble and sorrow, for they quickly pass, and we fly away. Who knows the power of your anger? For your wrath is as great as the fear that is due you. Teach us to number our days aright, that we may gain a heart of wisdom. “All men are like grass, and all their glory is like the flowers of the field; the grass withers and the flowers fall, but the word of the Lord stands forever.” And this is the word that was preached to you. “Do not be afraid, little flock, for your Father has been pleased to give you the kingdom. Sell your possessions and give to the poor. Provide purses for yourselves that will not wear out, a treasure in heaven that will not be exhausted, where no thief comes near and no moth destroys. For where your treasure is, there your heart will be also. At St. John’s Ev. Lutheran Church & Emmanuel Ev. Lutheran Church we practice closed Communion. If you are a guest at worship today and interested in receiving the Lord’s Supper, please speak with the pastor prior to the service. ALTAR FLOWERS Today’s altar flowers at Emmanuel were given by DuWayne & Pat Sommerfeld in memory of loved ones. 2018 OFFERING STATEMENT SIGN UP is now available in the link way. Starting January 1st, we will begin dispersing. SUNDAY BIBLE CLASS Sunday 9:00AM Bible class will take a short vacation over Christmas and New Years. We will resume on Sunday, January 6th, 2019. GOD’S WORD FOR TODAY Christmas Is the Celebration of God’s Grace – God’s grace, or undeserved love, is mighty and accomplishes his will. Despite the opposition of wicked people or human barriers, God’s grace accomplishes his desire: the eternal salvation of immortal souls. Even after all the gifts have been opened and used, we stand in awe of God’s gift to us, his grace in Christ, Bethlehem’s baby. But Samuel was ministering before the LORD– a boy wearing a linen ephod. Each year his mother made him a little robe and took it to him when she went up with her husband to offer the annual sacrifice. Eli would bless Elkanah and his wife, saying, “May the LORD give you children by this woman to take the place of the one she prayed for and gave to the LORD.” Then they would go home. And the boy Samuel continued to grow in stature and in favor with the LORD and with men. 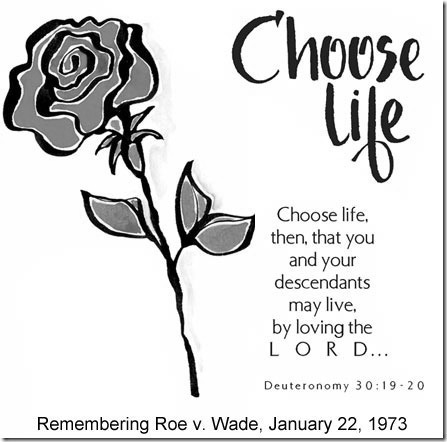 Since the children have flesh and blood, he too shared in their humanity so that by his death he might destroy him who holds the power of death–that is, the devil–and free those who all their lives were held in slavery by their fear of death. For surely it is not angels he helps, but Abraham’s descendants. For this reason he had to be made like his brothers in every way, in order that he might become a merciful and faithful high priest in service to God, and that he might make atonement for the sins of the people. Because he himself suffered when he was tempted, he is able to help those who are being tempted. Oh, come, little children, oh, come, one and all, To Bethlehem haste, to the manger so small. God’s Son for a gift has been sent you this night To be your Redeemer, your joy and Delight. He’s born in a stable for you and for me, Draw near by the bright gleaming starlight to see, In swaddling clothes lying, so meek and so mild, And purer than angels, the heavenly Child. See Mary and Joseph with love-beaming eyes Are gazing upon the rude bed where He lies. The shepherds are kneeling, with hearts full of love, While angels sing loud hallelujahs above. Kneel down and adore Him with shepherds today, Lift up little hands now and praise Him as they, Rejoice that a Savior from sin you can boast, And join in the song of the heavenly host. Pastor: In the name of the Father, and of the Son, and of the Holy Spirit. P: Christ, the Savior is born! C: Oh, come, let us adore Him! P: You shall find the Baby wrapped in swaddling clothes, lying in a manger. P: His name shall be called Wonderful, Counselor, the Mighty God, the Everlasting Father, the Prince of Peace. P: He shall save His people from their sins. P: Surely He has borne our griefs and carried our sorrows. P: He died for all, that those who live might no longer live for themselves, but for Him who died for them and rose again. Congregation: (sing) Oh, come let us adore Him! Oh, come, let us adore Him! Oh, come let us adore him, Christ, the Lord! Little Baby Jesus, born in Bethlehem. Dear Heavenly Father, we praise You for sending Your Son into the world as a little child. Give us the faith of little children, that we may make room for Him in our hearts. Fill us with the Holy Spirit, that we may daily show our thanks for this most previous Gift. In the Savior’s name we pray. Amen. C: “Out of you will come for me one who will be ruler over Israel, whose origins are from of old, from ancient times. Children: And there were shepherds living out in the fields nearby, keeping watch over their flocks at night. Congregation: An angel of the Lord appeared to them, and the glory of the Lord shone around them, and they were terrified. Ch: But the angel said to them, “Do not be afraid, I bring you good news of great joy that will be for all the people. C: Today in the town of David a Savior has been born to you; he is Christ the Lord. C: You will find a baby wrapped in cloths and lying in a manger. C: Glory to God in the highest, and on earth peace to men on whom his favor rests. Once in royal David’s city Stood a lowly cattle shed, Where a mother laid her baby In a manger for his bed; Mary was that mother mild, Jesus Christ her little child. He came down to earth from heaven Who is God and Lord of all, And his shelter was a stable, And his cradle was a stall; With the poor and mean and lowly Lived on earth our Savior holy. But our eyes at last shall see him Through his own redeeming love, For that child, so dear and gentle, Is our Lord in heav’n above, And he leads his children on To the place where he is gone. Not in that poor, lowly stable With the oxen standing by Shall we see him, but in heaven, Set at God’s right hand on high. Then like stars his children crowned, All in white, his praise will sound. SPEECH CHOIR Recitation 1:	There is no room! JOSEPH/Haiden Van Treeck: My wife and I have come from Nazareth to add our names to Caesar’s rolls. But see, my wife is weary from the trip. Our tiny beast of burden groans beneath her weight. He has walked the road so slowly that we are late arriving at this place. Please let us enter, for the light is gone; the chilly wind of night is in the air. Pitter, patter, donkey’s feet clatter down the busy street. Seek some shelter, find a bed where a child can lay his head. Just ignore the crowds and milling; prophecies await fulfilling. You will see a wondrous sight, for God will visit earth tonight! JOSEPH: Come now, donkey, let’s see if we can find a place. Be patient, Mary, we’ve made it to David’s town, but we must find a place to stay. I will knock on every door until I find a place where we can rest our heads. In human form came down the Lord To save all men for lorn; And yet the world would not afford A shelter to be born, A shelter to be born. Dear Lord, come in, I welcome You, I pray, do not depart! I pray that You be born in me, There’s room within my heart, There’s room within my heart. 1. O little town of Bethlehem, How still we see thee lie! Above thy deep And dreamless sleep The silent stars go by. Yet in thy dark streets shineth The everlasting light. The hopes and fears Of all the years Are met in thee tonight. O holy Child of Bethlehem, Descend to us, we pray; Cast out our sin And enter in; Be born in us today. We hear the Christmas angels The great glad tidings tell; Oh, come to us, Abide with us, Our Lord Immanuel! SPEECH CHOIR Recitation #2:	There is no room! Wearily they go their way, There just is no room today; Only one more inn left to try, Innkeeper sadly starts to sigh. “I would help if I were able, Wait a minute, there’s a stable! Hardly five star, but at least it’s dry! And in that stable on that morn, The Savior of the world was born. 1. Jesus, our Brother, kind and good Was humbly born in a stable rude. And the friendly beasts around Him stood– Jesus, our Brother, kind and good. 2. 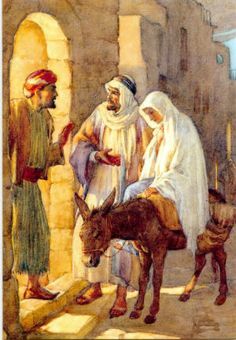 “I,” said the donkey, shaggy and brown, “I carried His mother up hill and down; I carried her safely to Bethlehem town.” “I,” said the donkey, shaggy and brown. 3. “I,” said the cow, all white and red, “I gave Him my manger for His bed; I gave Him my hay to pillow His head.” “I,” said the cow, all white and red. 4. “I,” said the sheep with curly horn, “I gave Him my wool for His blanket warm; He wore my coat on Christmas morn.” “I,” said the sheep with curly horn. 5. I,” said the dove from the rafters high, “I cooed Him to sleep that He would not cry; We cooed Him to sleep, my mate and I.” “I,” said the dove from the rafters high. 6. So ev’ry beast by some good spell In a stable dark was glad to tell Of the gift he gave Emmanuel, The gift he gave Emmanuel. Away in a manger, no crib for a bed, The little Lord Jesus laid down His sweet head; The stars in the bright sky looked down where He lay, The little Lord Jesus, asleep on the hay. The cattle are lowing, the Baby awakes, But little Lord Jesus, no crying He makes. I love you, Lord Jesus; look down from the sky, And stay by my side until morning is nigh. Be near me, Lord Jesus; I ask you to stay Close by me forever and l0ve me, I pray. Bless all the dear children in your ender care, And take us to heaven to live with you there. The Prince of Peace is born! Angels we have heard on high, Sweetly singing o’er the plains, And the mountains in reply, Echoing their joyous strain, Gloria in excelsis Deo; Gloria in excelsis Deo. Come to Bethlehem and see Him whose birth the angels sing. Come, adore on bended knee Christ the Lord, the newborn King. Gloria in excelsis Deo; Gloria in excelsis Deo. He’s your Savior and Lord! He lies within a cattle stall! Run till you see the glorious sight! SHEPHERD #1/Brody Henke: We have come to worship this infant, Christ, the Savior of the world! There were angels everywhere! We could barely believe our eyes. They pointed us to this humble stable. SHEPHERD #2/Nolan Van Treeck: The sky was full of angels! Our ears are still ringing with the song they sang! What a glorious sound! SHEPHERD #3/Easton Wegner: We kneel at his manger bed. Here lies our Savior, God’s anointed Son, but . . . we do not understand. Why is he here in a barn, in a manger? MARY/Katie Marlowe: There was no room. There was no place in the whole town, but do not be troubled. These gentle beasts around us have sung a lullaby sweeter than any human voice could offer. Joseph keeps his watch, and I rock Jesus gently in my arms. But come, shepherds, see God’s Son. Tonight He is born for you and everyone! ANGEL:	Love came down tonight! SHEPHERD #1: We kneel before His manger bed to bring Him our hearts. SHEPHERD #2: The angels brought the news to us–lowly, humble shepherds. Someday He will be our Shepherd! SHEPHERD #3: We each lay down our shepherd’s staff. For this Babe is Messiah! We have waited so long for Him to come to be our Shepherd and lead us. To Him we give ourselves. To Him we pray. “This is the Christ, our God and Lord, Who in all need shall aid afford: He will Himself your Savior be From all your sins to set you free. WISE MAN #1/Wally Wolsdorf: We saw a star in the East. WISE MAN #2/Haiden Van Treeck: It was like no other we had ever seen, so we knew it was special. We loaded our camels, and the star led us to your little village of Bethlehem. 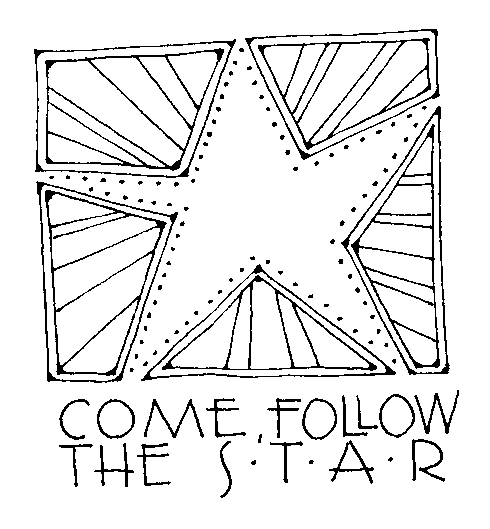 WISEMAN #3/Bruchs Wegner: We followed the star! Three great kings I met at early morn, With all their retinue were slowly marching. Three great kings I met at early morn were on their way to meet the newly born, With gifts of gold brought from far away, And valiant warriors to guard the kingly treasure, With gifts of gold brought from far away, and shields all shining in their bright array. MARY/Katie Marlowe: Welcome! Your search ends here. Meet Jesus, the Son of God, the promised Savior, and your King! Guided by God Himself, the star has led you here. WISEMAN #2: We bring great gifts! Dearest Jesus, we lay our crowns before you in solemn worship. We offer our treasures—not only gold, frankincense, and myrrh, but also our greater gifts of love—our faith, our hope, and our joy. In adoration, we lay these gifts at your feet. SPEECH CHOIR Recitation #3: The inns are full. As with gladness men of old Did the guiding star behold; As with joy they hailed its light, Leading onward, beaming bright, So most gracious Lord, may we Evermore be led by Thee! As with joyful steps they sped, Savior, to Thy lowly bed, there to bend the knee before Thee whom heav’n and earth adore, So may we with willing feet Ever seek Thy mercy seat. As they offered gifts more rare At Thy cradle, rude and bare, So may we with holy joy, Pure and free from sin’s alloy, All our costliest treasures bring, Christ, to Thee, our heav’nly King! PART 5: IS THERE ROOM TODAY? CHILDREN: But what about YOU? Have we or any of you really given him the place He deserves in our hearts? NATIVITY CHARACTERS: Your hearts should overflow with joy! All our sins and your sins are paid for by what Jesus did on the cross. The Baby in the manger is OUR SAVIOR AND YOURS! There’s a village in Judea, overcrowded and forlorn; but the village in Judea is the place where Christ was born. There’s a stable in the village, where the sheep and goats are shorn; and the stable in the village is the place where Christ was born. There’s a manger in the stable, looking very old and worn; but the manger in the stable is the place where Christ was born. There’s a baby in the manger; gather round to keep him warm; for the baby is God in human form. There’s a baby in the manger; see him sleeping peacefully; for the baby in the manger is the one who died for me. Our Father in heaven, all praise to your name! Your kingdom among us, your will done the same By mortals and angels. Come, Lord reign alone: Oh, hear us and bless us from heaven’s high throne. The bread that we yearn for provide us each day; As we forgive others, our sins take away; In times of temptation, to lead us be near; From evil deliver your children most dear. For yours is the kingdom; o’er all things you reign. And yours is the power; all things you maintain. To you be the glory, resounding again From all of creation, forever. Amen. Let us all with gladsome voice Praise the God of heaven, Who, to bid our hearts rejoice, His own Son has given. To this vale of tears He comes, Here to serve in sadness, That with Him in heav’n’s fair homes We may reign in gladness. We are rich, for He was poor; Is not this a wonder? Therefore praise God evermore Here on earth and yonder. A PERSONAL PRAYER BEFORE WORSHIP Heavenly Father, the voice of one crying in the wilderness prepared the hearts of your people as your Chosen One entered our world to be our Savior. Let that same Advent voice cry out to my heart so that with true repentance I prepare to celebrate the coming of my newborn King. Replace my spiritual pride with Christlike humility, my apathy with commitment and dedication. With your power, hope and love, come and lead me as I dedicate my life to you. Keep my attention also on the skies as I watch and pray for the triumphant return of Christ my King. Bless my worship. Amen. 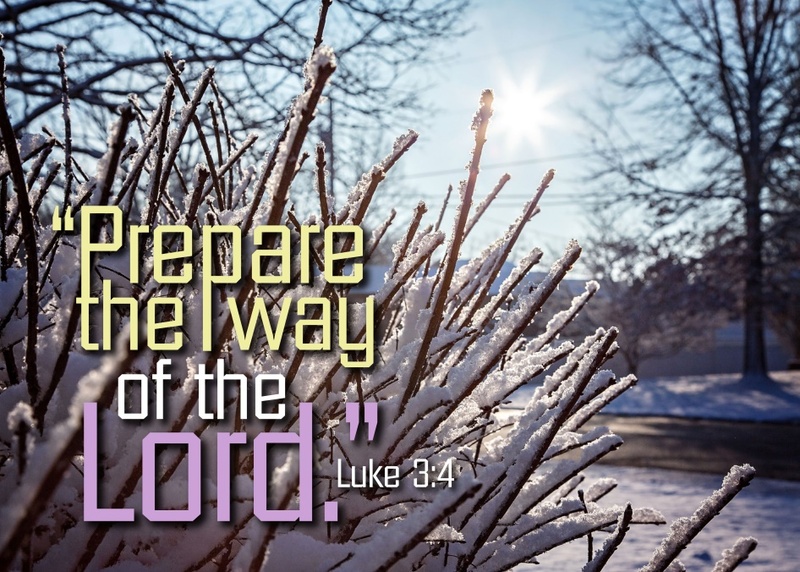 GOD’S WORD FOR TODAY The Second Sunday in Advent: Preparing for Purity is Often Painful – Many people look for easy fixes for their problems. God, though, often puts his people through a long, painful process to prepare us to embrace the Savior he has sent. God always works through his Word to develop in us a life that shows the fruit of the purity he has put around us in Christ. P:	We light two Advent candles remembering Jesus who came in history. He came into a world of sin and death. C:	We remember Jesus who came as the promised Messiah. John the Baptist prepared the way of the Lord. P:	We hear his call to repent. C:	We light two Advent candles as a sign of our repentance and desire for renewal. P:	Come, Lord Jesus, be our guest. C:	Through your Word and Spirit may our souls be blessed. At Emmanuel Ev. Lutheran Church & St. John’s Ev. Lutheran Church we practice closed Communion. If you are a guest at worship today and interested in receiving the Lord’s Supper, please speak with the pastor prior to the service. Thank you. 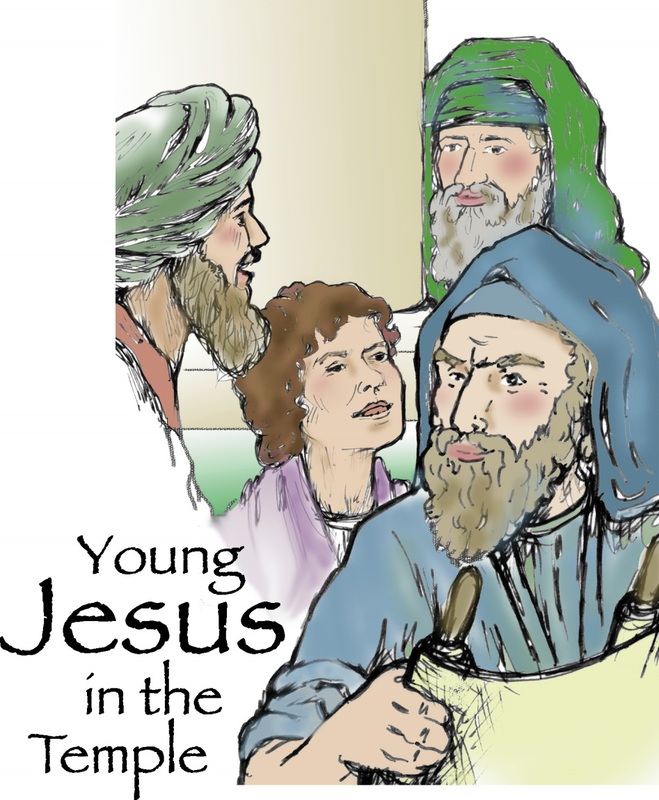 ST. JOHN’S SUNDAY ADULT BIBLE STUDY will be held in the lower level while Sunday School kids practice in sanctuary. THANK YOU to all those who donated funding for the beautiful wreaths hanging on St. John’s front doors: Edith Deusterhoeft, Kay Maass, Marilyn Riemer, Anita Reimer, and Al and Carolyn Rosenthal. Wreaths are a symbol of welcome to those passing by and to those coming in. Thank you so much for sharing your blessings with others. And thank you, also, to Ashley Henke, who used her creative talents to make the wreaths. PLEASE COME CHRISTMAS CAROLING! During this season of sharing, we ask St. John’s members of all ages to share a little of your time and the joys of the Christmas season by lending your voices caroling at the Montello Care Center on Sunday, December 23. All ages are welcome! Please meet in the entrance of the Center so we can be ready to sing at 9 a.m. We will return to church in plenty of time for the worship service that day. FELLOWSHIP AND REFRESHMENTS after the Emmanuel Christmas Eve Service Dec. 23rd at 6:00 PM. Members and guests are all invited to join us in the Parish Hall. If you have extra cookies please bring a plate to share. If not please come anyway. TO THE ENDS OF THE EARTH WELS DVDS are available in the St. John’s link way-$5 donation. 1) Sunday School Teacher: This individual will help further the Christian up-bringing of parish and non-parish children, historically between the ages of 2 and 6, by managing the weekly Sunday School sessions held in the Emmanuel Parish Hall. The timing of the class and age group preference is flexible. If you are interested in serving the Lord with your time and talents by assisting with these important activities, please contact Darrell Buchholz or Pastor Zietlow. O God of peace, I turn aside from an unquiet world, seeking rest for my spirit and light for my thoughts. I bring my work to be sanctified, my wounds to be healed, my sins to be forgiven, my hopes to be renewed. In you there is perfect harmony. Draw me to yourself, and silence the discords of my wasteful life. Your greatness is beyond my highest praise. Take me out of the loneliness of self, and fill me with the fullness of your peace. Father, Son, and Holy Spirit: in the water of baptism you forgave my sin and delivered me from death and the devil. You raised me to a new life in Christ and clothed me with his merit. Help me rejoice in your washing of salvation and live before you in righteousness and purity forever. Father, I have sinned against you and am no longer worthy to be called your child. Especially am I sorry for ______. Yet in mercy you sacrificed your only Son to purge away my guilt. For his sake, O God, be merciful to me, a sinner, and in the joy of your Holy Spirit let me serve you all my days. Praise to you, O God, maker of all things. You gave me life and breath. You sent your Son to cleanse me from sin and your Spirit to make me glad. Thank you for providing me with all that I need to live. Especially do I thank you for ______. To you be honor and glory now and forever. Heavenly Father, I have come to worship you. Draw near to me in your gracious Word, and assure me of your loving kindness. Curb my wandering thoughts, that with undivided attention I may hear your voice and sing your praise. O Lord—our Maker, Redeemer, and Comforter—we are assembled in your presence to hear your holy Word. We pray that you would open our hearts by your Holy Spirit, that through the preaching of your Word we may repent of our sins, believe in Jesus, and grow day by day in grace and holiness. Hear us for Jesus’ sake. Lord, I am not worthy to be a guest at your holy table. But you are the friend of sinners, and you will not cast me out. This bread is your body, which bore my sins upon the tree. This wine is your blood, which purifies me from all guilt. At your invitation, I come rejoicing. Receive me, my Savior. Thank you, Lord Jesus Christ, for nourishing me in this sacrament with your body and blood. You have given me forgiveness, life, and salvation. Let me always remain in you as a branch remains in the vine. Send me out in the power of your Spirit to live and work to your praise and glory. O living Bread from heaven, how richly you have fed your guest! The gifts you now have given have filled my heart with joy and rest. Lord, grant me that thus strengthened with heavenly food, while here my course on earth is lengthened, I serve with holy fear. And when you call my spirit to leave this world below, I enter through your merit where joys unmingled flow. Good Shepherd, I was glad to be here, gathered with your flock to worship you. Cause the Word I have heard to take root in my heart and bear fruit in my life. Guide me in paths of righteousness, that my words and actions might lead others to glorify you. Grant, O Lord, that the lips which here have sung your praise may continue to glorify you in the world; that the ears which have heard you speak may be open always to your Word and closed to hatred and discord; that the tongues which have confessed your name may always speak the truth without fear; that all of us who have worshiped together today may be united in true love for each other as you have loved us in Jesus. Father, Son, and Holy Spirit: I am happy for the privilege of ministering in your house. Help me to be reverent and humble in my service, setting a good example by my words and actions. Enable me to fulfill my duties in such a way that I may assist others to worship you joyfully.